Following a campaign stretching over many years, the Greens on Marrickville Council have welcomed the signing of a historic contract to re-develop the old Marrickville hospital site, the key final step in committing Council to build the long promised new library, park and affordable housing on the site. Greens Councillor Max Phillips said, “We fought the last election on a platform of investing in our community. We promised to build a new library, to invest in affordable housing and in quality open space. Today we are so proud to see that vision turning into a reality. “Marrickville Council has signed a detailed contract which ensures this project will be built in line with the concept designs picked by the community last Council term. The new library site will have a park opening onto Marrickville Rd, a library and multi-purpose community hub, and a mix of community and retail uses. I am confident it will become a thriving new heart for our community,” Clr Phillips said. Greens Councillor Sylvie Ellsmore, Co-Chair of Council’s Affordable Housing Committee, said, “This decision is a huge win for our community. We will have over $60 million of benefits delivered for the community. It is the largest single investment ever undertaken by Marrickville Council. “The development of site will come at no cost to Council and will protect the significant heritage buildings – the Old Marrickville Hospital site and Nurses Quarters – which will be retrofitted as the new library and community hub. And importantly, those community facilities, the park and the affordable housing will stay in public ownership,” she said. The project has a long and tumultuous history. 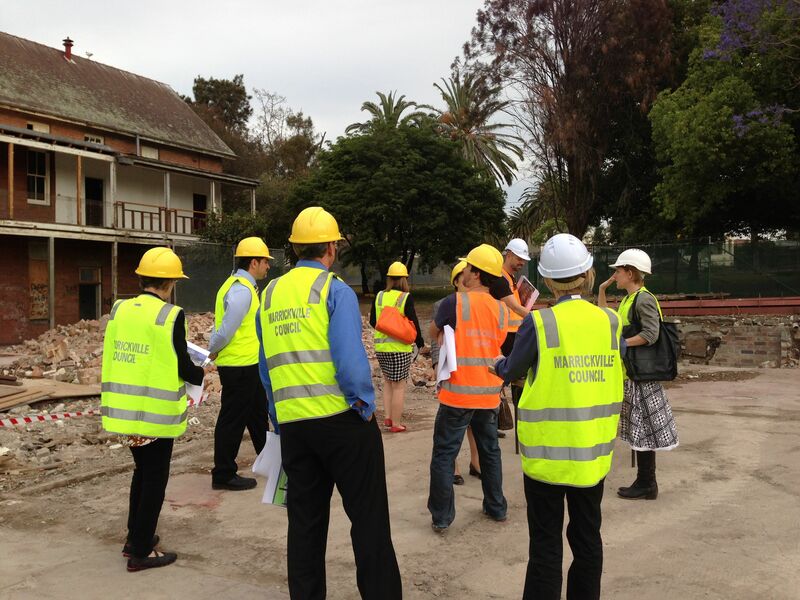 Marrickville Council has owned the site, earmarked to build a new library, for 20 years. 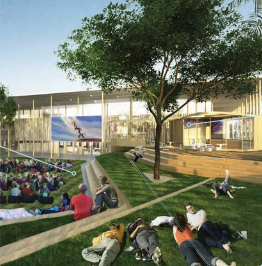 Council had invested more than $1 million undertaking a design competition and preparatory works for the new library and park last Council term. However following the 2012 Local Government elections a number of different options were canvased for the site by the newly elected Council, including building residential development at the front of the site (Marrickville Rd) where the library and park was planned, and residential rather than public uses for the heritage buildings. A numbers of unsolicited bids to sell the whole site to a private developer were received, but were rejected following a community outcry. Clr Phillips said, “This final decision, which received unanimous support from all Councillors, returns Council to the original vision for the site. This is what we have been fighting for and we have now, finally, engaged a developer to get on and build the project. It is a huge win for our local residents and the future of our community,” said Clr Phillips. At its Council meeting on Tuesday 6th October Marrickville Council approved the terms of a contract with developer Mirvac to develop the entire site, including the public aspects and private residential and commercial development at the back of the site. The contracts were formally signed by Council and Mirvac today. residential development at the back of the site. The historic main hospital building and the old nurse’s quarters will be fully conserved and reused as part of the redevelopment and the old hospital lane will be retained as a central access spine through the development site. Entry and exit of vehicles is expected to be from Livingstone Road. The developer was selected following a competitive tender process which assessed applicants against their ability to deliver key aspects of the project which included the concept for the new library selected by the community (known as the ‘BVN design’), new open space and affordable housing. Following the competitive process Council resolved to work with the most suitable applicant – Mirvac – on a non-complying tender which will see the project delivered quickly and at no cost to the community. For details of the Greens campaign for the project see https://marrickvillegreens.wordpress.com/issue/library-and-community-hub/. The full concept model of the project by Mirvac which indicates the scale of residential development on the back of the site and how it interacts with the community design for the library has been on public display and will be available again at the Marrickville Library later in the week.